Wayne Dyer had a dream. He wanted to get at least three million people to watch a movie that had great meaning to him. It's called The Shift. Dr. Dyer believed that this movie could really help people. I won't be able to watch it until this evening, so I can't give you an overview, except what is posted on the Hay House site. And that is that this movie can show you how to move from ambition to meaning in your life. It was Dr. Dyer's hope that you share what you learn with others. Hay House is offering free viewing of The Shift for 7 days and I wanted to let you know, so you can watch it multiple times or let friends know. 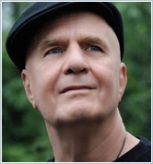 This is to honour an important teacher of our time, so let's be part of Wayne Dyer's dream. You can access the freebie at the link below. Just so you know, it does require you to insert your email address.